On the occasion of International Day of the World’s Indigenous Peoples today, the Choutari team recognizes the importance of both local and global linguistic diversity and rich languages/language practices and cultural heritage knowledge of the indigenous people all over the world as a resource for building an equitable world in 21st century through quality education. The spread of English as a global language has created numerous issues concerning educational policies and practices. Pushed particularly by the the ideology of “global market economy”, English is taken-for-granted as the language of education in developing countries. While the teaching of English as a language has already been a big challenge in ESL/EFL contexts, there is an increased push of English as the medium of instruction (EMI) policy from the early grades in Nepal. While the English language is certainly an important language in this globalizing world, it is not true that imposing English-only medium of instruction ensures a better education that prepares students for job market (which is becoming more multilingual and multicultural) nor is it justifiable that EMI promotes equity and access in education. A famous linguist and scholar, David Crystal (2002) argues that the spread of English language has already created unprecedented “threat to many minority languages” all over the world. In Nepal, we have a mosaic of linguistic diversity which can be an important source of education. But EMI is pushed without considering any academic and language learning theories/studies. As they are facing a big pressure to increase student numbers, community/ public schools wrongly assume that the EMI policy will help them out to retain the students. The EMI policy to lure parents to stop children from going to private schools is a perilous and an extremely reductionist view about education which lacks both academic and pedagogical justifications. The medium of instruction policy is one of the most important aspects of education as it is directly related to academic and cognitive development of children; to language and culture of society; and the education system as a whole. Thus, the creation and implementation of any language policy should be rigorous, comprehensive, and grounded on educational theories and best practices that embrace local existential reality while showing critical awareness of global issues. Another key aspect to consider while developing a language policy is social justice and equity. Studies from all over the world have shown that allowing children to use their own home/community language as a primary language of education, while simultaneously learning second/foreign language, ensures greater student achievement. Further, the right to education in one’s own first language has been recognized as a fundamental right in all the global educational forums and policies that Nepal has already rectified and adopted its own policies. In this backdrop, the government must be responsible to ensure its policies that are informed by educational practices and theories that support equitable and quality education for all children. We must be aware of the fact that “market forces” do not entirely determine and represent larger social and educational needs of the nation and as market resources are always hierarchical, they are not accessible to all children. Thus, we should first answer these questions: Do we really need EMI? When do we start EMI? What is the space of English in local linguistic diversity that shapes our educational practices? What should be the medium of assessment? Have we prepared teachers and created resources for EMI? What are the research-based foundations of EMI? This August 2015 issue focuses on the above and other cross-cutting issues related to EMI policy in Nepal. We include case studies, pedagogical practices, and experts’ perspectives on EMI. The first blog entry by Mahendra Kathet, a teacher trainer, is a case study of community schools from the Mt. Everest region which have recently adopted EMI. In the second post, Ashok Raj Khati, a teacher training specialist working for REED Nepal, further investigates into the EMI practices based on case studies, observations, and theoretical aspects. In the third post, Ishwor Kandel, a master trainer of NIITE (National Initiative to Improve Teaching in English) project, highlights the need of EMI in schools and focuses on professional development of teachers to materialize the policy effectively. He also shares the ongoing NIITE project and its contents. The fourth post is an interview with Khagaraj Baral, Executive Director of NCED. Mr. Baral believes that needs and interests of citizens are primary in democracy and if they want EMI in their schools, it should be up to them. With reference to SLC results of few EMI schools, he argues that EMI policy contributing to better results. Prem Phyak, a PhD scholar, University of Hawaii, US, and Lecturer at the Department of English Education, Central Campus, Tribhuvan University, in another interview, shares research-based findings and situates them in Nepal’s current EMI policies and practices. He argues that the issue is not whether we need EMI policy, rather it is the accessibility and quality in education through EMI in the multilingual societies like Nepal. He argues that there is a need for redefining and reimagining language teacher education (including ELT/TESOL) and professional development programs (including teacher training) from a multilingual perspective. He asserts that there should be intensive research studies and critical examination of the current policies and practices before making any language policy decision. Likewise, Bal Krishna Sharma,a PhD scholar of the University of Hawaii, shares that in the context of Nepal, where English is taught as a foreign language, teaching in English-only does not benefit the majority of students. Based on his research, he argues that whether we allow or not, translanguaging is in practice in our classes and he further suggests using both English and home language of students systematically to produce effective teaching learning outcomes. Similarly, in another post, Pramod Kumar Sah, a research scholar on EMI at the University of Central Lancashire, shares his views on the prospects and challenges of implementing EMI in the context of Nepal. He presents the cases from all around and argues that EMI in Nepal has been a haste and unplanned decision. He also proposes to allow multilingual practices such as ‘translanguaging’ and ‘plurilingualism’ in the bilingual and multilingual classes of Nepal. Last but not the least, we have continued the photo photography project. For the project, Photojournalist Sunil Sharma, who is also working for Chinese News Agency called Xinhua, contributes the photos from the classes in the temporary learning centers that were built to support children who could not go to schools after the April 25 earthquake. We hope that the views, opinions, and experiences in this issue will help shape EMI policies and practices in Nepal. I extend my sincere gratitude to the entire Choutari team for their support. Similarly, I am thankful to all the contributors for their amazing ideas on EMI! 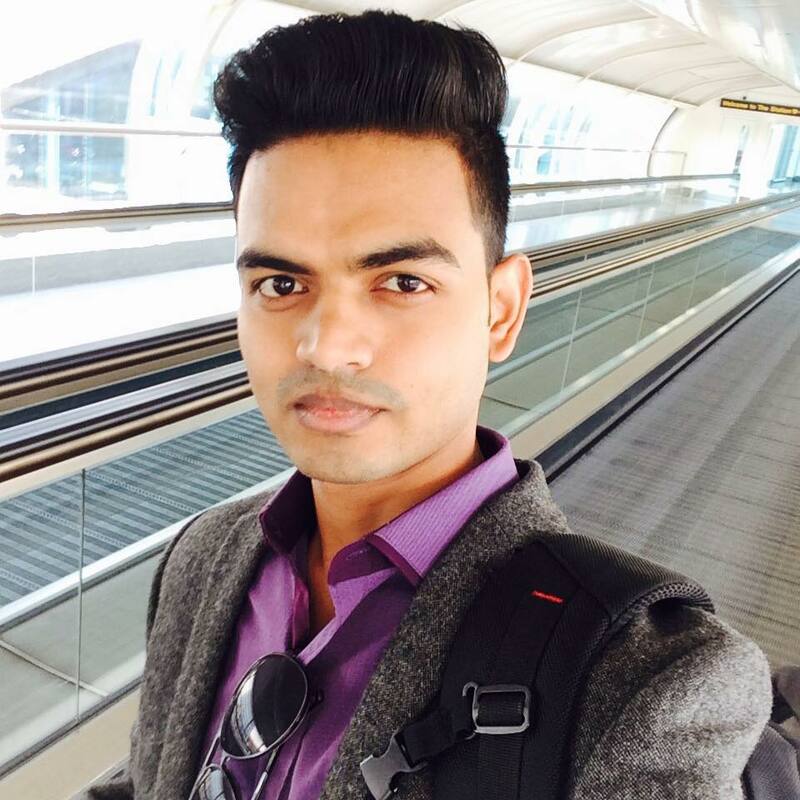 Last but not the least special thanks goes to Praveen Kumar Yadav for his untiring technical support! Hoping that you would enjoy reading the special issue! Namaste and welcome to the July 2015 issue of Choutari! We hope you enjoyed our June issue which also focuses on education and EFL teaching in Nepal’s post-disaster situation. You can read the issue here. In this issue, we have three blog posts and a photography project. In my own article, I have discussed the preliminary findings of the survey on the role of EFL teachers in Nepal’s post-disaster situation, which I call “super-difficult circumstance.” The teachers’ responses reveal a multitude of difficulties (e.g., psycho-social, educational and economic challenges) caused by the recent earthquake. Most importantly, the findings of the survey reveal the “transformative agency” of EFL teachers who transgress the “schooled pedagogy” and can create their own “pedagogy of disaster” to help their students recover from the traumatic experience. In the second post, Nirjana Sharma, an education journalist based in Kathmandu, shares a featured news story based on her observation of the schools on the resumption after a month-plus unscheduled holidays following the earthquake. In another article, Dinesh Thapa shares with us his own involvement in the relief and recovery operations in the earthquake-affected areas. He begins with telling his own story and discusses empirical findings about how people are affected by the earthquake. His article is a testimony to redefining the role of “teacher-as-researcher” and an important material for EFL teaching. The Choutari team always explores new ways to promote pedagogical discussions among EFL teachers. We have initiated a “photography project” for EFL teaching. Influenced by the Critical Photography Theory” (Wells, 2015) and the “Critical Art Pedagogy” (Cary, 2011), the goal of this project is to promote the use of photos/pictures in EFL teaching. Education is children’s basic human right; we need to ensure it even in emergencies. The ‘April 25’, the day of 7.9 magnitude earthquake, which can be marked a black day for Nepalese people, has not only caused loss of thousands of lives, but also pushed the country years behind in terms of development. This has, no doubt, affected every sector, including education. Schools across the nation have resumed now, but are the children already out of the trauma? This is something that the primary attention of concerned stakeholders have to be paid for. The traumatic reminders may still bring on distressing physical and mental reactions among children. It, therefore, challenges teachers for dealing with students’ psychology, safety measures, classroom management, and continuing the syllabus at the same time. Children can be more reactive than adults owing to their less ability to anticipate danger and to voice how they feel. It is consequently important to assure that the children are orientated against false assumptions. They need emotional support and bereavement briefings-dealing with death experience. This requires teachers- they may have however been traumatized- to be strong and bring in positive activities in their lessons, for example telling a story of positive recovery after disasters rather than telling about the loss. Parents should also have a significant part to play while letting their children recover from this trauma. They should try keeping the children away from horrific exposures, primarily from the sad news stories on mass media. ELT Chautari has accordingly come up with a special issue that focuses on education in the aftermath of the earthquake. The first post by Rojita Adhikari’, a multimedia journalist, is a feature story of an undergraduate student who lost her house and the only source of income, shop, in the April 25 earthquake. Adhikari narrates how quake survivor Sarita chose teaching to heal her pains and the pains of survivor children. 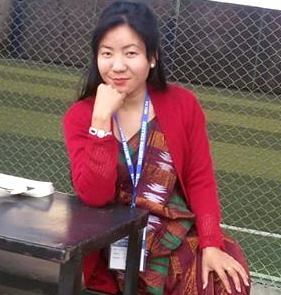 In the second post, Ms Charlotte Benham, a former Fulbright English Teaching Assistant in Nepal, has put her ideas forward on ‘Lessons in Language: What EFL Teachers Can Learn from Earthquake Relief Efforts’. This article accounts for enabling students to communicate in the post-earthquake world and integrating social issues, that have been explored during relief and rebuilding process, into language lessons. Prem Phyak, one of the founders of Choutari, in his article ‘language matters in the post-disaster discourses’ arguably advocates that the use of certain terms in the post-disaster discourse in Nepal are disempowering earthquake survivors. His analysis implies that teachers should refrain from using the terms that disempower the survivors while talking about the disaster in classroom and school. Anuradha Sharma through her post shares her experience and efforts to helping the quake survivor children overcome their psychosocial problems. Ms Neha Shah, a grade teacher from Ideal Model School, Kathmandu has produced encouraging ideas how she managed to cope up with small kids while taking the syllabus further. She has carefully noted the psychology of her children, and acted accordingly. Her article entails the strategies the schools outlined and how they were implemented successfully. Mr Chetan K Timilsina, an English language teacher from Kathmandu, has shared a story of his classroom experience with traumatized children of different age groups.His account for planning lessons and putting into effect in accordance to the psychology of the children is worth reading. In the last post by Jeevan Karki, one of the Choutari editors and a teacher trainer with REED Nepal, shares his perspective to what and how to teach students at post earthquake situations. Here is the list of hyperlinked write ups included for June Issue. Last but not the least, I would like to thank our valued readers and contributors for their continued support and urge them to join the conversation through comments on the blog entries and sharing on social media (facebook, twitter, etc.). We apologize for the hiatus in May — as you know, the entire nation was stunned by the major earthquakes that took the lives of thousands and affected those of millions of others in Nepal. As we start gathering and rebuilding hope, energy, and enthusiasm as educators and citizens, and as members of the profession across national borders, we realize the need to ask new questions. Our questions must be situated in the new context of rebuilding the nation, as well as reforming education. English Language Teaching (ELT) has always been a means for achieving social goals, and not an end. This is the time to think about what that end, that purpose of ELT and of education at large is. This is the time to reconnect ELT and education at large with challenges, changes, and opportunities in life and society. This is the time to embrace new ideas and perspectives, methods and technologies, people and cultures. ELT is a means to prepare students for society, professions, and successful lives. We must now reframe the teaching of English language and literature (and all the knowledge and people that they connect to) within the vision of a new Nepal. A Nepal that rises from the rubble. A Nepal that took a disaster and turned into a new journey. At times, it feels as if work that like this only serves to reinforce the inequity in the society, that it best serves the already privileged. Those of us who run this blog are teachers and scholars mostly living in cities; we use technological platforms that are not available for the majority; and we focus on a foreign language that, for many, is only taught and learned to pass exams (which are deeply discouraging and can drive many away from future careers in learning altogether). This feels like we are driving little scooters around a few cities in a country where doing so will only reach a quarter of the population; half of the nation is only reachable by buses and tractors, and the other quarter is unreached by any vehicle so far. Who are we doing all this for? Are fellow teachers across the country able to join conversations like this, conversations that are framed on the terms of those whom they cannot relate to? How far can technologies go in engaging teachers in vastly different contexts and situations across the country? And, most significantly, what is the new vision for the relatively few connected scholars/teachers after the national crisis, this rising from the dust? How can we leave behind our old modes of thinking and develop new visions, new alliances, new strategies? ELT is one of our links to the rest of the world. It is also a link between many disciplines in our education. And it is a link between education and many professions in the world. English as a lingua franca links our young generations to bodies of knowledge and other nations/cultures, and to professions like diplomacy and development, business and journalism in the broader/global context. But English has also created bottlenecks in opportunities, hope, and confidence for generations of communities that are already disenfranchised in other ways. So, especially in the aftermath of this national disaster, how can we expand the scope of opportunities above while disrupting the bottlenecks? How can we pause to think about the many ugly realities of inequality, marginalization, and irresponsibility of the privileged that the disaster has exposed–and how can we start using education (including ELT) to start addressing the problems and building on the opportunities? At a more practical level, because Nepal is prone to different types of disasters (including earthquake, floods, and landslide, which take thousands of lives every year), how can we re-envision ELT curricula, pedagogy, and resources in order to help prevent damage of infrastructure and loss of life in the future. It is not enough to stand akimbo and say that these are issues that the engineers will take care for the society. No doubt, we cannot prevent them; but the community must be aware of three R’s of disasters — readiness, response and recovery — before, during, and after natural calamities. In this sense, everyone can and should be partner-engineers of social vision, of thinking and communicating new ideas, of forging a new future. Incidentally, it was saturday when schools and colleges were closed when the first earthquake jolted the nation. Even the second earthquake occurred during daytime at a time closure of educational institutes were already announced in the aftermath of the disaster. Otherwise, casualties, especially students and teachers might have been worse. It is high time for teachers, practitioners and education experts, including ELT communities, to contribute to raise awareness among children and youths in schools and colleges about disaster management. Education is the most effective means to disseminate such knowledge and skills in the community. We hope to raise broader issues of education in the days to come. We invite you to contribute your blog posts to this venue, encouraging you to write about a broader range of issues, including classroom practice and the emerging issues of the day. During the month, please consider joining ongoing conversations on our Facebook page. Let us envision rebuilding our society, and education an ELT can be important tools. You can be an important agent. Let us rise from the dust and leave a legacy of resourcefulness and resilience for future generations. Needless to mention, sharing the practitioners’ views on various issues related to particularly English Language Teaching (ELT), and language and education in general is part and parcel of publishing Choutari with a view to trigger further discussion inviting our audience to join the conversation every month. Once again, we have come up with another set of ELT khurak for April issue. The April Issue deals with different areas of ELT that covers author identity in academic writing and research, grammar, authentic source for language teaching, spoken English, medium of instruction and Massive Open Online Course (MOOC). Author identity in academic writing and research among others has remained an everlasting issue that the trainers, mentors, and ELT practitioners have brought into the forefront in our context since very long ago. Acknowledging the authors and researchers is a well agreed intellectual honesty that everyone who makes use of them should consider wisely. But the well accepted referencing systems throughout the world have still left space for the argument on whether the systems we are following have honestly respected author identity. Especially, abbreviating the initial and the middle names of the authors and researchers in the reference list alone has raised the issue in the academia to the discussion. Emerging authors and researchers do not have to mention the initial and the middle names of the authors in the text during in-text citation, especially in American Psychological Association (APA) for example. When abbreviating publisher’s names is discouraged, how does it seem plausible to abbreviate the initial and the middle names of the authors has haunted the authors, researchers and potential audiences. Those standing for the argument opine that, abbreviated initial and middle names of the original authors may lead to many other names except the authors. It not genuinely addresses author identity, nor does it keep the honest readers at comfortable zone to identify the true authors. Similarly, English as Medium of Instruction (EMI) that has been raised as an issue of discussion has evoked a couple of questions in front of teachers, trainers, instructors, and education analysts. In the context of problematic situation of teaching English language itself in English medium, how it can help learners to achieve the desired learning outcomes when the medium of instruction alone is shifted from learners’ mother tongue to the international language- English. Learners may understand the content better through their own mother tongues rather than from English medium, the so called driving tool for quality education. If the cognition of the subject matter itself cannot be assured by any other language medium as much as by the learners’ mother tongue why the government and NCED have started for this venture, has not made the issue crystal clear. Further, the English medium private schools nearby may have been densely populated and government aided public schools thinly populated in terms of number of students not only because of the medium of instruction alone but also by administrative chain of command and professional loyalty, punctuality, and effort of the teachers. Parents also visit the English medium private schools frequently because they have to pay a large amount of fee every month but many of them do not visit even twice an academic year because they do not feel it compulsory. Government aided schools should own the confidentiality of the parents in child caring and safety needs, their disciplinary needs, punctuality, and regular classes. Finally, I would like to urge our valued readers and contributors to join the conversation through comments on the blog entries and sharing on social media (facebook, twitter, etc.). Wish you a very Happy New Year 2072 in advance ! In what is a landmark for the over two-decade-old organization, Nepal English Language Teachers Association, a female member has just become its president. On the International Women’s Day today (on March 8), ELT Choutari team members (including founders, contributors and larger audience) would like to congratulate Meera Shrestha on this historic achievement. We wish her and the newly nominated executive body great success in leading NELTA. We are also proud to share with our audience that our colleague, Ushakiran Wagle, one of Choutari editors, now serves in the executive committee. We wish her successful tenure towards achieving a new milestone in ELT of the country. As in the past, we have maintained the legacy this year as well, by publishing reflections of participant, presenter, and rapporteur, upon their participation in the international conference of ELT organized by NELTA in the country. For this conference special issue, we have five contributors –Prem Bishwokarma, Jyoti Tiwari, Priyanka Pandey, Dipak Dulal, and Praveen Kumar Yadav—who have reflected their experience and learning upon participating in the 20th international conference. Among the contributors, Prem Bishwokarma, Jyoti Tiwari and Dipak Dulal are first timers to attend the conference. Prem and Dipak attended the event as participants while Jyoti was one of the rapporteurs. Similarly, Priyanka Pandey shares her reflections on presenting the paper for the first time. Finally, Praveen Kumar Yadav shares a news story written by him for Republica during the conference. Meanwhile, we would like to welcome two talented ELT scholars—Rajan Kumar Kandel and Pramod Kumar Sah—who have joined the editorial team. Here is the list of the entries we have included for March issue. Finally, we would like to thank our contributors of this issue and also urge our valued readers and contributors to please SHARE the blog entries with the community, and press LIKE buttons on social media. Please join the conversation by adding your comments/views on the blog posts that you have read. In my early formative years as a student, I understood that writing was just a medium of communication. I did not know any typewriter or a computer keyboard; I thought that only way of writing was with a pen or pencil or chalk. This meant, for me, that the basic purpose of writing was to teach (for the teachers) and write the answers (for students). Several years have passed and I am an adult now, and a teacher for that matter. This shift in my status has also changed in my understanding of writing. I now feel that writing is not just a medium of expression of ideas but it is much more than that. What is that which makes writing more than a medium? One of the answers could be its purpose: why do we write? We may write to inform, to ask, to express, to share, to lament, to rejoice and so on. One of the latest realizations regarding the purpose of writing is that we write in order to evolve. The human race evolved from Stone Age to the civilized modern age and one of the key factors that facilitated the evolution is the writing that we invented. The whole human race underwent evolution due to the writing over the centuries and millennia. And in the miniature form, each person can evolve in his or her own life from beginner to a developed professional. Writing becomes richer if we are engaged in reading. When we read diverse materials and blend them with our own ideas and insights, we can churn out beautiful pieces of writing. Writing that the readers can get inspired from; writing that can change readers’ perspectives; writing that remains as imprint in the readers’ kinds. ELT Choutari is a platform where we can see our own evolution as we write. It is also a platform where we share our stories to help others to write to become professionals. In the current issue we have focused on: reading, sharing and writing. We present moving personal experiences, ideas on what to read and some distinct writings. On behalf of the ELT Choutari team, I would like to wish everyone a slightly belated Happy New Year 2015! And welcome to a special Anniversary issue once again!! This is the seventh year of our blogging about ELT. The web traffic remains robust, we have maintained high quality in content, and I am grateful to our readers for their conversations here on the blog and on social media sites. We are grateful to you for reading and promoting the ELT khurak we provide here. And we are grateful to those who contributed blog posts. Your contribution to professional conversation is invaluable. Times have changed since Choutari was first published. Since this first ELT forum in Nepal was first established, the Internet has become more accessible, there are larger numbers of professional forums and resources that we can benefit from, and potential contributors (both experienced and new, both writers and editors) seem to have become busier due to increasing number of commitment to the professional community. This year, we also disambiguated the blog’s name so that our readers know that there is a different, official blog run by NELTA and that this one remains an open space run by independent volunteers, continuing a tradition and adding a necessary dimension to professional conversation outside of an organizational structure. Today, we see our community blogging both individually and institutionally or in groups. We are inspired by new developments. When changes in the broader social, technological, and professional world affect our success and effectiveness, we remember to look at the big picture and recognize what we have achieved in the long run. As we reflect on our past, present, and future, the Choutari team of editors would like to invite you to consider joining us and contribute more directly than you may have so far. Let me describe how you can do so. If you are willing and able to dedicate some time to a professional community, Choutari is for you. Choutari is for you if you are excited by the impact you can make on the professional lives of English language teachers across the country (and also across the world) with the power of volunteerism, with your technological skills, with collaboration and networking. Choutari is for you if you want to add a line on your resume, and want to fill that line (or say a paragraph) with meaning and substance. It is certainly not “being on board” that counts: it is what you do after you get on board. First, editorial colleagues take turns to be monthly coordinators (you may need to take one or two turns during the year). The coordinators request other editors to collect materials, as well as collecting contributions themselves. They start conversations early in the month before their turn with the editorial group (by email and Facebook), developing their theme and ideas. And toward the end of the month, before publication, they get help from the rest of the team to improve and copy edit all materials. They pass on the baton to the next coordinator on the schedule after they publish the month’s issue. In terms of time, editors spend about 3-5 hours every month (and more if they like to run or follow conversations), and coordinators invest 5-10 hours for collecting, coordinating, improving, publishing, and promoting. If you are interested, or have questions before you can decide when to join, please do not hesitate to send them at eltchoutari at gmail. Let me conclude with an emphasis on the value of volunteerism and the power of blogging. Initiatives like Choutari may not have direct incentives or material return for editors or writers. They may not have organizational structure, recognition, support, or promotion. But it is precisely in these gaps/lacks that we will find value for our professional and social lives when working with a team of independent scholars. To share my own experience, by actively contributing to and leading Choutari for some time, I have got the opportunity to know and work with, and to gain respect from, many respectable ELT colleagues in Nepal and elsewhere. I tremendously improved my skills for writing and professional communication (both academically and socially), coordination and leadership, use of technology and emerging media platforms, reviewing and editing fellow professionals’ work, research and reporting. I not only have a line on my resume that describes what I have done and learned, I have gained tremendous knowledge and confidence that I use in my professional advancements. What I gave to Choutari is what I got. Needless to say, “being” on Choutari will not magically benefit us in any way (one has to work even to gain recognition from readers and fellow editors). Nor can anyone “use” Choutari’s name to benefit professionally: people and organizations will judge the work we’ve done, the time we’ve invested, the visible achievements we’ve made, the impact that we can show in order to recognize our role. But if you are eager to dedicate your time to develop professional skills and confidence in a scholarly venue, come on join us! Please write to the email provided above. Every old year ends with a new resolution. One month ends and another begins. One year ends and another begins. The cycle in the calendar keeps on revolving. The ELT practice in the shed of Choutari is a push that we, as ELT practitioners, need to do is to keep on moving like the calendar. As we move, we leave the familiar grounds and find us into a new territory. The more we move ahead, the more we grow. In the new territory, our past learning and experience contribute to our continuous journey, the journey of ELT. We, the team of Choutari, are always ready to explore new possibilities to accelerate our journey. As we look back, we can reflect on how we have been moving and how we can move since the terrain has changed. We need to look into how we used to do things and explore the possibilities of how things can be done now. In order on to keep moving, we might have to keep aside the things holding us and move forward to welcome the changes. We are committed toward embracing the changes even if they are not pleasant. As we move, we grow. As we move, we evolve. As we move, we get fit. Maxwell Maltz has put it precisely in words “Man maintains his balance, poise and sense of security only as he is moving forward”. December is a month of ‘letting go of the old’ and ‘looking ahead to the new’. We may move slowly or move fast. We may run a mile in matter of days or only crawl an inch or two in a year. As long as we move, we will continue to grow. Last but not the least, I would like to thank our contributors of this issue and also urge our valued readers and contributors to please share your comments/views on the blog posts, SHARE them with the community, and press LIKE buttons on social media. Having the right academic degrees on the subjects we want to teach doesn’t make us effective teachers. We also need to involve in professional development activities such as mentoring, training, publication, researches, interaction, and networking within our professional community. Teachers and educators have contributed five different pieces of their writings for the November issue of Choutari. Here’s the navigation list of the blog entries included for November. We hope you find the articles insightful, interactive and interesting to read. We’d be grateful to our valued readers if you could please share your comments/views on the blog posts you have read, SHARE the ideas with the community, and press LIKE buttons on social media. We wish you all a very Happy World Teachers’ Day 2014.